Tested By Us, Built for You: OtterBox Trusted Protection Available Today for iPhone 6s, iPhone 6s Plus -- Every moment can be recorded, snapped and saved for a rainy day with the new, enhanced iSight camera in iPhone 6s and iPhone 6s Plus. OtterBox continues to protect the memories that matter most. From the No. 1-most trusted case brand in smartphone protection, OtterBox announces a full lineup of cases available now for the new iPhone 6s and iPhone 6s Plus. Defender Series, Commuter Series, Symmetry Series and Strada Series are available now for iPhone 6s with Alpha Glass coming soon. iPhone 6s Plus cases available now include Defender Series, Commuter Series and Symmetry Series, with Alpha Glass coming soon. "OtterBox tests each case design for more than 238 hours so you know your memories are safe from the drops and bumps in daily life," said OtterBox President and CEO Pete Lindgren. "iPhone 6s and iPhone 6s Plus are designed to seamlessly integrate into your day, and our cases are the same – built for you and your lifestyle. So you can take your brand new iPhone 6s or iPhone 6s Plus and hand it to a toddler or go out 4-wheeling, without pause and without worry." Each case design for iPhone 6s and iPhone 6s Plus undergoes a minimum of 24 tests across more than 238 hours to earn the seal of OtterBox Certified Drop+ Protection. These tests ensure lasting protection from drops, bumps, scratches and dings. Trusted protection – tailored to every lifestyle – is available today for iPhone 6s and iPhone 6s Plus, and are compatible with iPhone 6 and iPhone 6 Plus devices. Defender Series' triple-layer protection is the original case design that Apple lovers have trusted with their precious devices for nearly a decade. The built-in screen protector blocks out scratches and dust, while the shell and outer slipcover absorb and dissipate shock. 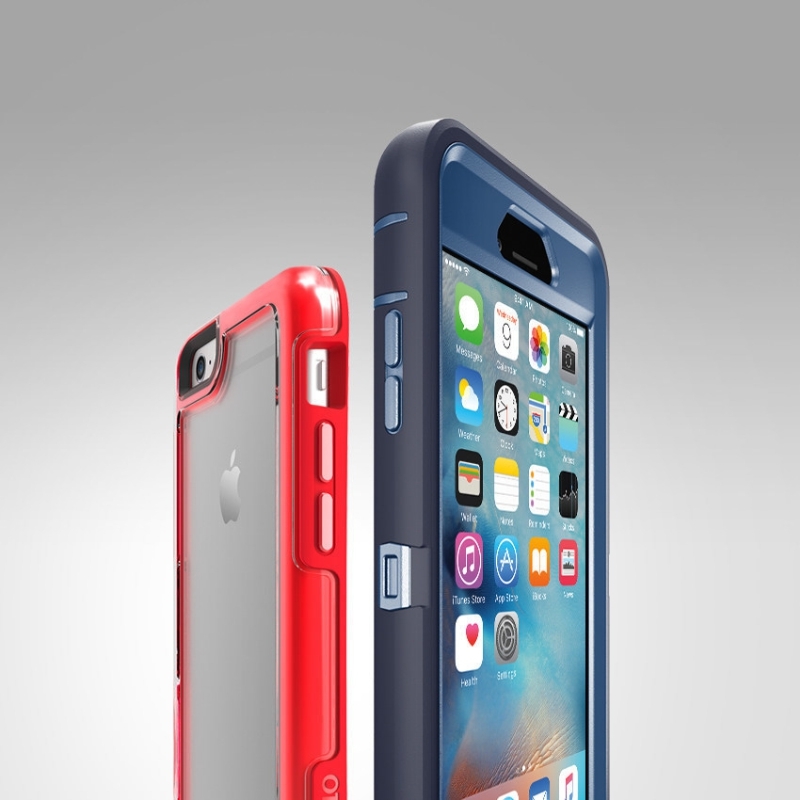 Custom color combinations for Defender Series are available now for iPhone 6s and iPhone 6s Plus on otterbox.com. The sleek Symmetry Series slides easily into pockets and slips perfectly in and out of purses to help quickly capture Live Photos or 4K video. This slim iPhone 6s and iPhone 6s Plus case is simple to install, and a raised, beveled edge provides extra protection for the touchscreen during facedown drops. The Symmetry Series case design is tested in-house to stand up to the wear and tear with a purse test – fending off scratches from keys, shades and wallets for long-lasting graphics and vibrant colors. Two form-fitting layers combine to create the thin, protective Commuter Series for iPhone 6s and iPhone 6s Plus. The outer shell and inner slipcover combine to pull shock away from the device, and port covers keep debris out of the charge and headphone connectors. 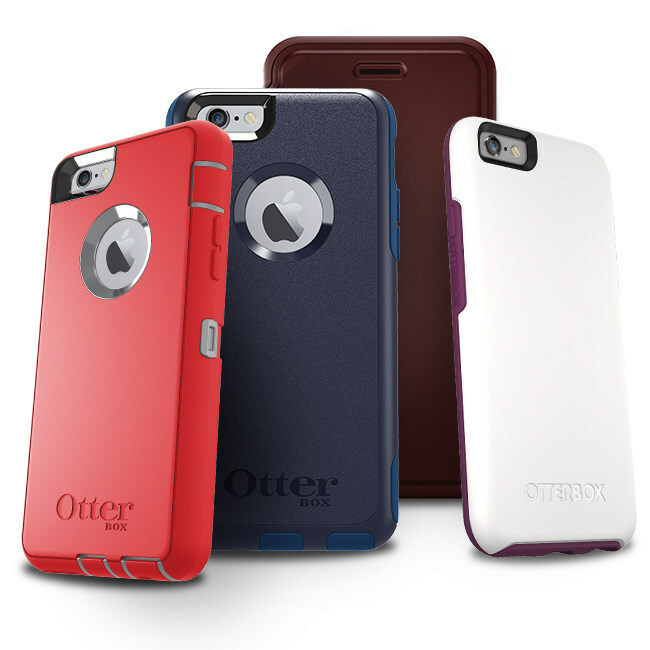 Customize Commuter Series by creating a color combination on otterbox.com. For a classic, tailored look, Strada Series slips iPhone 6s and iPhone 6s Plus into genuine leather and trusted protection. The folio front clasps open or closed to guard against touchscreen scratches and includes a card slot to hold a credit or identification card. A slim audio vent in the folio makes it simple to take calls with the cover closed. Strada Series for iPhone 6s Plus is the first time this professional, polished protection is available for a super-sized smartphone. OtterBox cases for iPad Pro and iPad mini 4 are being evaluated and information on product availability will be released later this year. OtterBox iPhone 6s and iPhone 6s Plus cases are available now on otterbox.com and at select retailers. For more information, visit otterbox.com. Starting in 1998 with a line of dry boxes, OtterBox® has evolved into the No. 1-selling case for smartphones in the U.S. and a global leader in mobile device protection. Its diverse lineup of protective solutions for smartphone and tablet devices is the result of precision engineering, diligent testing and continual technological advancement, giving technology users the confidence to make the most of their mobile world. OtterBox is an eight-time honoree on the Inc. 5000 list of fastest growing private companies in the U.S. and was named one of "America's Most Promising Companies" by Forbes Magazine. The company is headquartered in Fort Collins, Colo., with offices in San Diego; Boston; Cork, Ireland; and Hong Kong. Defender Series, Commuter Series, Symmetry Series, Strada Series and Alpha Glass are NOT protective against water. Will provide added protection against bumps and shock. 0 comments on "OtterBox announces a full lineup of cases available for the new iPhone 6s and iPhone 6s Plus"